I love when I have a plan for meals, when I sit and schedule meals for a week or two or three. But then there are those weeks when I have no plan, not much food and I have to wing it. 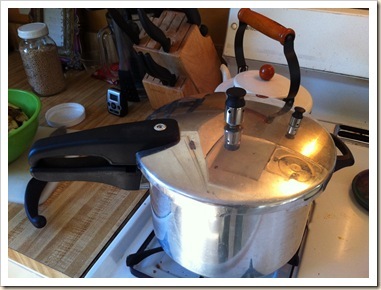 I am finding my go-to tool is my pressure cooker! I can cook up almost anything so quick!! 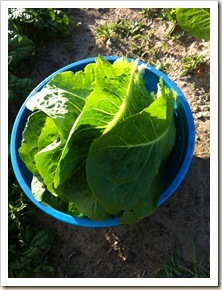 Then other night I grabbed some frozen sausage, a few potatoes and some lettuce from the garden. Voila – dinner. I threw the sausage in the pressure cooker for about 10 minutes with a little water and cooked it up. 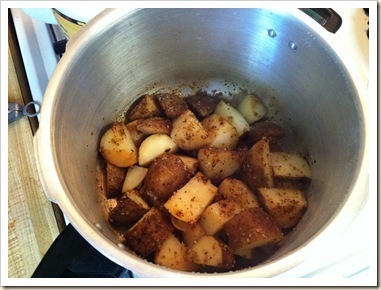 While it cooked I cleaned, cut up and seasoned my potatoes. Took the sausage out, threw the potatoes in with the same water and cooked those for about 6 minutes. Meanwhile I cleaned and chopped lettuce and threw in a few more veggies and it all came together very quickly!! I love my pressure cooker! !